With three levels, the MultiBase G63 triples the amount of available parking space. This makes it possible to create up to six parking spaces in extremely tight areas. 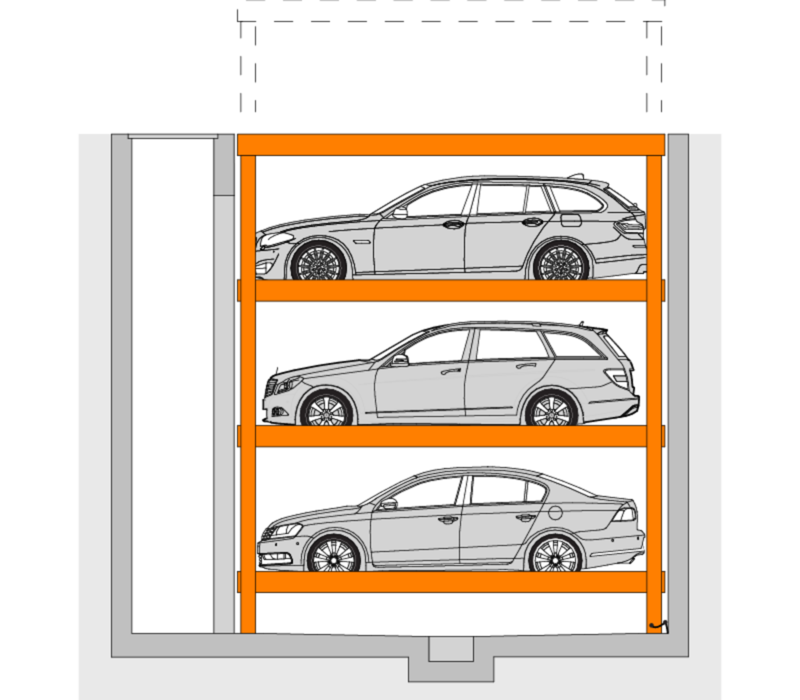 Depending on the design, this system accommodates vehicles with a height up to 1,700 mm. 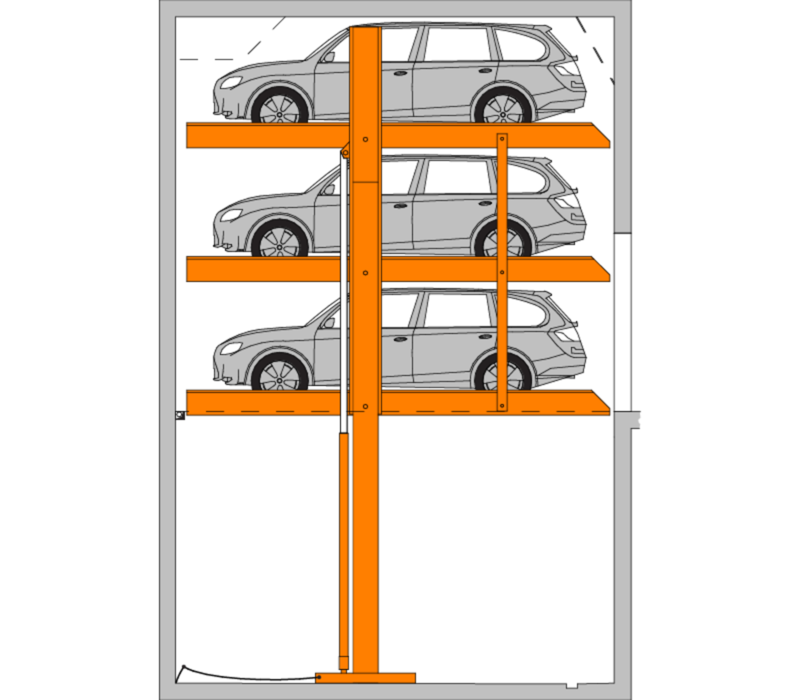 The MultiBase U3 is a completely retractable system, with up to three lowerable parking spaces, flush to the ground and traversable. 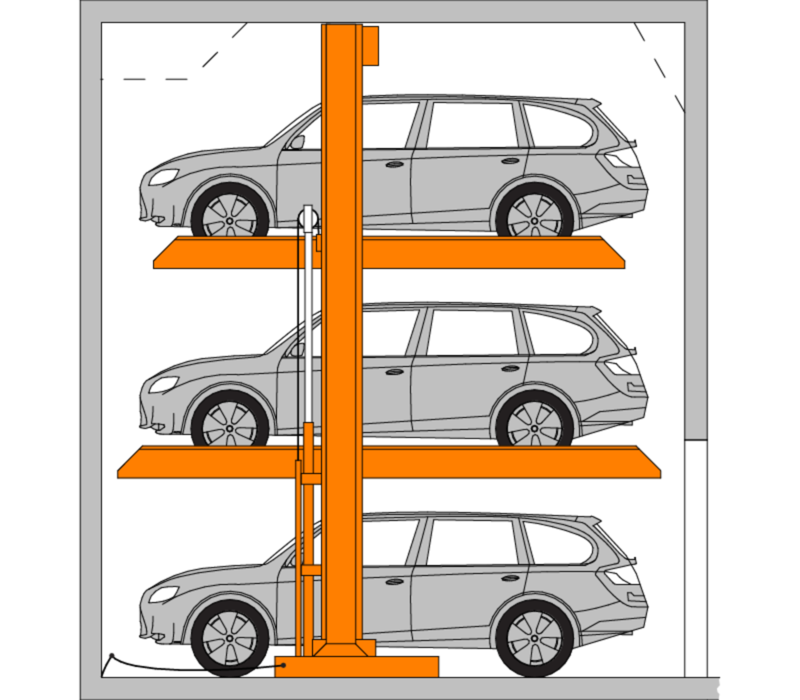 Three levels of parking can be achieved without the need for a pit. 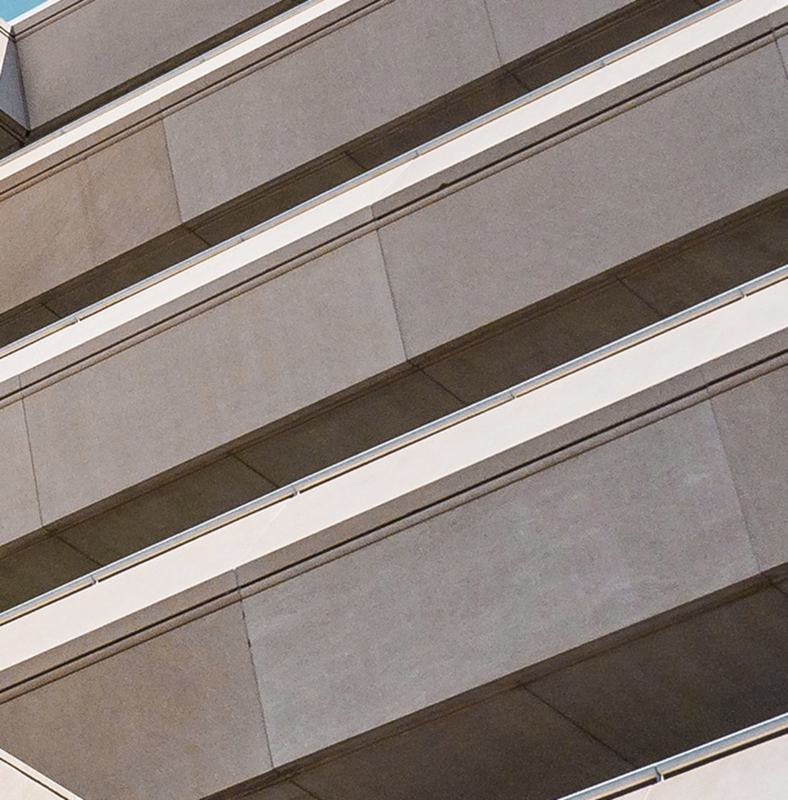 The dependant 3015 provides an ideal combination for long and short-term parking.